Huge storms pound the middle third of the United States. The Mississippi overflows it banks, flooding towns, killing and displacing people, destroying economies and ecosystems. The nation wonders what to do. A man—backed with respectable financing—steps forward to direct a powerful documentary film that reveals the essence of this tragedy and brings it stingingly home to the public. The film is greeted with wide acclaim, compassionate outcry, and no little shame about the fact that Americans have let this disaster happen to their land and to their own people. In 2006 it was Spike Lee and WHEN THE LEVEES BROKE. Seventy years earlier in 1936 it was Pare Lorentz and THE RIVER. Lorentz’ film was produced to explain unconscionable resources mismanagement and to explore public policy; Spike Lee’s was made for similar reasons. Lee’s film was funded by a profitable commercial enterprise noted for its success in documentary—HBO. Lorentz’ was funded by a public agency that had never been involved in filmmaking—the US Federal Government in the form of Franklin Roosevelt’s Farm Security Administration, run by a forward thinking member of Roosevelt’s “brain-trust,” Rexford G. Tugwell. Our 21st Century documentary community is regularly reminded, and reminds itself, of its value in examining society’s problems. It is true that more documentary films are influencing more people than ever before; more filmmakers are creating work (widely varying in quality) about all manner of subjects, and distributing them in radical new ways. Audiences’ souls are stirred to action, or at least made aware of important issues. It is also true that the social conscience of the Documentary Tradition is long, mostly honorable, and existed well before the Sundance Festival. 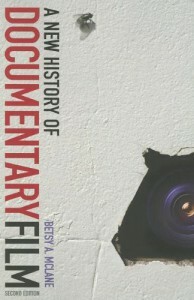 Massive technological changes, which in turn affect the funding, distribution and aesthetics of documentaries, have made the 2000s a very different time than the 1930s, but despite the passing of decades, important continuities in the documentary ethos remain. Pare Lorentz, a man self-proclaimed as “FDR’s Filmmaker,” is only one of many pioneers who created inspiring, beautiful and theatrically exhibited documentaries of immense social import. Each of his films—four major completed works—confronts pressing societal concerns of the late 1930s and the 1940s. THE PLOW THAT BROKE THE PLAINS (1936), FIGHT FOR LIFE (1940), NEUREMBURG (1945), and most eloquently THE RIVER (1937), are inextricably important to the world’s documentary heritage. Lorentz was born in northwestern West Virginia in 1905 to a family whose emigration from the UK traces back to before The Revolutionary War. He was raised in the tiny town of Lorentz (so still named) and was deeply immersed in the ways of the countryside, and in the beauty of the mountains and forests of the Blue Ridge. He remembered his father as a man who, “…fought endless battles trying to keep the bass from being killed off. I grew up among such people.” The love of nature inherent in his Southern outdoor upbringing was genuine, lifelong, and perhaps finds contemporary resonance in the portrait of another concerned Southerner, Al Gore, as offered in AN INCONVENIENT TRUTH. After a couple of years at West Virginia colleges, Lorentz made his way to New York City, and eventually became a columnist and film critic for newspapers and magazines. While working for Newsweek, he put together a picture book, THE ROOSEVELT YEAR (1934), which he had initially conceived as a newsreel. Decades later a collection of his film reviews, LORENTZ ON FILM (1975) was published. As is often the case, Lorentz got his opportunity to make a film through the connections of family and friends. He did not come to film as his first love, nor through apprenticeship or formal training. When he was hired to run the first US government film agency, Lorentz had no experience in any aspect of filmmaking. In fact he witnessed film editing only after PLOW was fully shot and he entered the cutting room. This did not prevent him from writing and directing masterworks of the cinema. Being a writer, Lorentz approached the challenges of filmmaking through research that then inspired impressionistic outlines. As with many documentaries, then and now, there was no official “script.” He drew from government data, of which there was plenty. For PLOW and THE RIVER there were official reports about the country’s dreadful abuse of national resources—over-farming, extreme logging, tearing up the prairies, depleting the soil, building towns in unfit locations, and the results of these abuses of nature—the Dust Bowl, impoverished farmers, flooded towns and cities, displaced families, a lost economy. Another resource was the Farm Securities Administration sponsored still photography of Dorothea Lange, whom Lorentz acknowledged as an influence, and who shot his portrait during these years, Paul Strand, Walker Evans, Gordon Parks and others under the supervision of Roy Stryker. Neither of these inanimate media had the power to evoke passion in the same way as film, as both Tugwell and Lorentz knew. Lorentz next headed into the field to capture on film what he had envisioned in words. Wisely, as the best filmmakers do, he surrounded himself with some of the most talented cameramen available. THE PLOW THAT BROKE THE PLAINS was shot by Ralph Steiner, Paul Strand (considered at the time to be second only to Robert Flaherty in documentary cinematography skill), Leo Hurwitz, and Paul Ivano; Stacy Woodard, Floyd Crosby and Willard Van Dyke shot THE RIVER. All were names with which to be reckoned. They exposed tens of thousands of feet of 35mm film using heavy cameras, at a shooting ratio for THE RIVER that Van Dyke estimated at 30 to 1! The extremely high ratio was the result of on-the-spot coverage of massive storms that flooded the Mississippi that year. Lorentz budgeted the film at $50,000, and delivered a completed print at a cost just short of that; the adjusted sum today would be around $740,000. A major difference between THE RIVER and most of the Katrina documentaries, particularly WHEN THE LEVEES BROKE, is that Lorentz’ film was designed solely with theatrical exhibition in mind. Television, in 2007 the most common place for documentary exhibition, was only experimental in Lorentz’ time. Lee’s film emphasizes the human story, a narrative choice at which television excels. He uses many close-ups and interviews to carry emotional weight, and stock footage to provide the back-story. Lorentz’ work has almost no close-ups, and does not focus on personal stories. In THE RIVER, his main character is the Mississippi itself, which is awe-inspiringly dramatic and beautiful in its rage. Two of the reasons for this were the equipment available, and the dominant documentary aesthetic of the 1930s, which was established by the John Grierson school of filmmaking. But much of the power of PLOW and THE RIVER rises from Lorentz’ own somewhat romantic view of the world, and his desire to break away from the didacticism of Grierson to create his own film form. From the beginning, Lorentz’ concept of film included sound and music. Words were not used as typical narration, but as hypnotizing blank verse spoken over images and music. In PLOW and THE RIVER, Lorentz’ poems were spoken by Thomas Chalmers, famous as the voice of THE MARCH OF TIME. Resurgence in the use of blank verse, even as it resurrected the meter of Walt Whitman, was a controversial hallmark of art left-leaning art produced under the New Deal. Lorentz, never showed any interest in the Communist movement, but was a devoted supporter of Roosevelt and Roosevelt’s policies. NIGHT MAIL (1936) by Harry Watt and Basil Wright for Grierson, with its linking of film image to poetry by W.H. Auden, was a likely influence on Lorentz. A Benjamin Britten score propelled NIGHT MAIL, and Lorentz found an American equal in Virgil Thomson, who wrote the music for PLOW and THE RIVER, combining American folks tunes and hymns with original themes. This same technique is echoed in WHEN THE LEVEES BROKE, as Terence Blanchard composed original music that acknowledged the great musical traditions of New Orleans. The intimacy and passion in Spike Lee’s interviews, possible because of technology that was never available to Lorentz, preclude the need for narration in LEVEES. In some ways Lorentz’ films combined the best of both the Flaherty and Grierson traditions. Like their work, Lorentz’ films screened in commercial theatres, often as a companion piece to some truly awful Hollywood fiction feature such as SCANDAL STREET. Shown in blazingly brilliant black and white nitrate prints, the films must have veritably engulphed audiences. Spike Lee knew he had an exhibition outlet in HBO before filming started. The support given to him by Sheila Nevins and staff at HBO insured that LEVEES would be widely reviewed and watched. Most other chroniclers of Katrina are not as fortunate, and neither was Pare Lorentz. Not one of the Hollywood studios would distribute THE PLOW THAT BROKE THE PLAINS or THE RIVER. Their reasons, just as today, were both financial and political; the films were not feature length, but too long as shorts, and “…the Republican Party and other groups opposed to the New Deal might insist on a similar treatment for their output of cinematic propaganda.” ( Business Week , July 11, 1936). Even Mary Pickford, specially invited to a Hollywood screening of PLOW, refused it as a United Artists release. Of course, Lorentz’ films are propaganda, and government sponsored propaganda at that, but then, most good documentary can in some way be labeled as propaganda. Lorentz overcame this Hollywood boycott as many documentary filmmakers still do. He took his shows on the road, garnering good reviews in initial screenings; THE RIVER opened at a gala premiere in New Orleans, as did LEVEES. Lorentz then used reviews and testimonies by theatre managers to get other movie houses to take the picture. This strategy worked successfully, especially in the Midwest where audiences reportedly clamored to see the films. Many independent theatre owners showed THE RIVER, generally to rousing public and critical appreciation. Lorentz was hailed as the new rising son of American documentary, but THE RIVER was to be the peak of his artistry. Lorentz next conceived a radio project, ECCE HOMO that was broadcast by CBS and BBC. Some footage was shot to turn this script into a film, but the final project never materialized. In 1938 Lorentz was made Director of the newly formed US Film Service. He made THE FIGHT FOR LIFE, based on a book of the same name. This look at the struggles of a hospital maternity ward used professional actors and natural participants, and provided an unsentimental view of the pain that often accompanied childbirth. Shot both in Chicago and on a Hollywood sound stage, it became controversial both for audiences (some women were reported to have fainted) and within the government. Hollywood was bringing pressures on Congress to stay out of the film business, and the melodrama of FIGHT FOR LIFE struck a different chord than land reform. While making this film, Lorentz was supervising two other projects that became part of the documentary canon, hiring Robert Flaherty and Dutchman Joris Ivens. The Flaherty film THE LAND relied on his usual methods—two years of wandering and shooting to capture a poetic vision of the American farmer. Ivens’ THE POWER AND THE LAND extolled the virtues of rural electrification through co-ops as only an ardent Communist such as he could. None of these three films resonated with the public as did PLOW or THE RIVER. The Film Service became mired in increasing Congressional controversy, and as the world hurtled into WWII, support for New Deal arts projects disappeared. Lorentz resigned in 1940 and the US Film Service eventually morphed into the Office of War Information, which used Hollywood talent, not the documentarians of the 1930s to create its propaganda. Lorentz enlisted and spent the War making 275 navigational films for the US Army Air Force. From 1941–45 he was the Chief of the Film Section of the War Department’s Civil Affairs Division. He supervised NUREMBERG, a film that used footage of Nazi war atrocities and the Nuremberg trials to try to explain to the German people the extent of the horrors of their government’s policies. This film was kept from the US public until the 1990s, although it was required viewing for Germans who wanted to receive food ration cards during the postwar occupation. Although he lived until 1992, NUREMBERG was Lorentz’ last film. Pare Lorentz’ is a film legacy of compassion for the American land and its people. His belief in artful cinema that could respond to large questions about government social policies was shared by many of his documentary contemporaries. Yet only he managed to create such work with direct funding from that government. Certainly FDR’s policies and Tugwell’s support played a large role in that accomplishment, but it was Lorentz’ own considerable charm, his intelligence and aesthetic sensibilities, and his very hard work that made the films possible at a time when access to filmmaking and distribution were limited to a very few powerful companies. Footage taken from PLOW and THE RIVER continues to be used in films today, but the lasting impact of his works as touchstones to American history and as artistic inspiration for future documentarians goes far beyond that. Both PLOW and THE RIVER are scathing in their depiction of how greed, shortsightedness, and lack of care for poor people destroyed communities. Thousands of people, many poor, were killed, displaced, or ruined by the calamities surrounding Katrina. Tens of thousands of people, mostly poor, were killed, displaced and ruined by the Dust Bowl and the despoiling of the Mississippi watershed. It was those same people who first flocked to see these films, helping to make them theatrical successes. Even today when the tools of video documentary are available to millions, it takes the industry power of a Spike Lee to get four hours of Katrina documentary on television. Some of the same shortsighted policies of land use that created havoc in the 1930s eventually caused the Delta conditions that made Katrina so destructive. It was imperative to Lorentz to create works of art, as well as force, to be seen and heard in the 1930s, and it is imperative for documentarians in the 2000s to understand his legacy, to create work of quality that will also live for decades. The following excerpt from THE RIVER resonates as well today as it did in Lorentz’ time. We all hope that the next 70 years will bring us to a place where such words will not be needed anymore.